What are Brushed Glass™ Splashbacks? Brushed Glass™, Matt is the new Gloss. DIY Splashbacks are the only glass splashback manufacturer to offer Brushed Glass™ Splashbacks and Table Tops. Brushed Glass™ is essentially a matt splashback that has little or no reflection. A departure from the normal glossy finish, these are becoming increasingly popular for those homeowners looking for something different. As can be seen below,it has virtually no reflection, and is softer and warmer to the touch compared to our gloss finish. 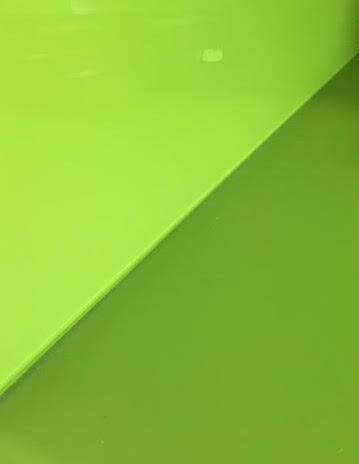 This Dulux Luscious Lime splashback is Brushed Glass™. One important thing to note is that colours can appear slightly different when applied to glass, due to the iron content in Brushed Glass™ production. 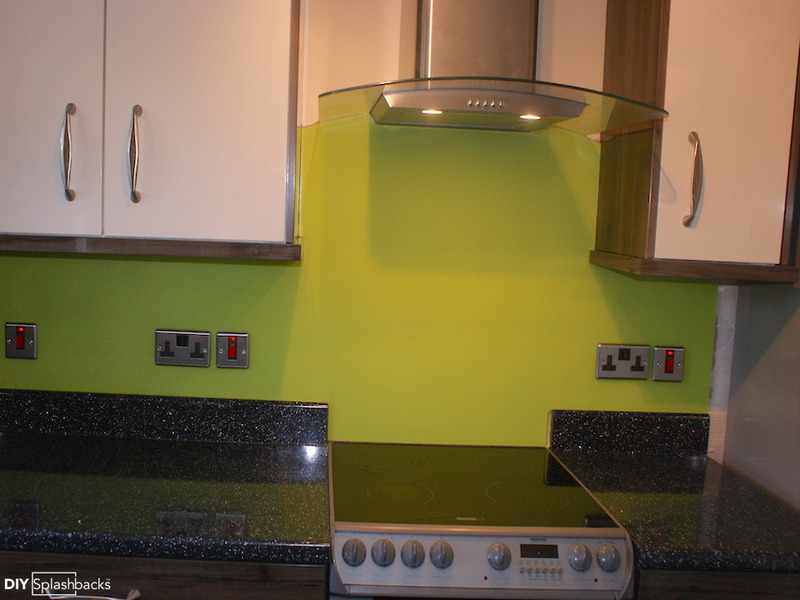 In gloss glass colours are relatively unaffected, however brushed glass is slightly different. The matt appearance in brushed glass is the first subtle difference to a shade, however it is the higher iron content that can dramatically alter how a colour appears. The higher iron content can add a slight green tint to a colour. We recommend ordering a glass sample in your chosen colour, in brushed & gloss. 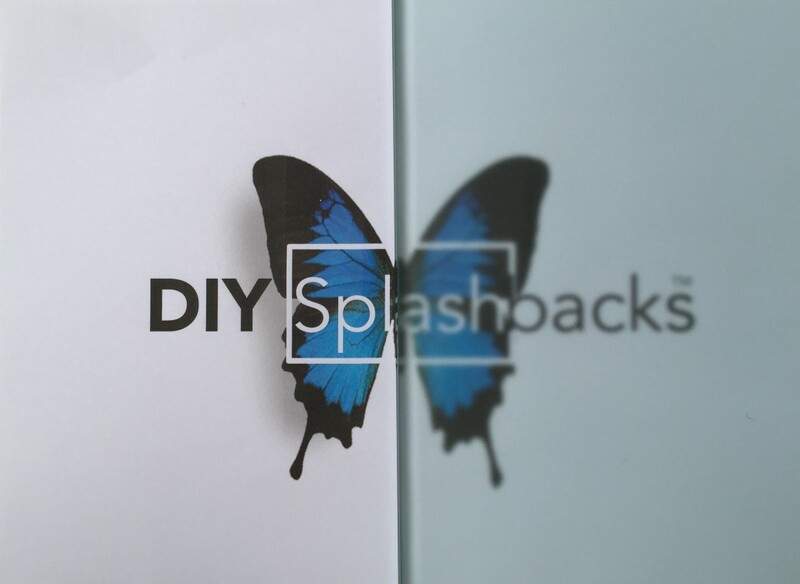 These are available on our website, and your first sample is refunded when you place your splashback order. Printed Design Splashbacks are also available in Brushed Glass™ . The same principles apply, however please be aware that depending on what design you opt for- there may be distortion. The below example is a clear panel of brushed glass layered over a white page with a printed design. This demonstrates the green iron tint, and also distortion. Although there are a number of differences between Gloss and Brushed Glass™ splashbacks, the finished article is tactile, elegant and unusual. 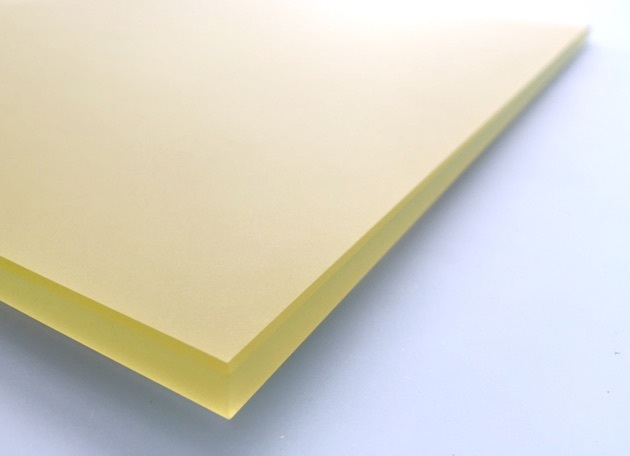 If you have any concerns about Brushed Glass™, it’s possible to order a coloured or printed sample. Our experienced team will happily talk you through the differences, and also highlight if your shade, or design will be affected.